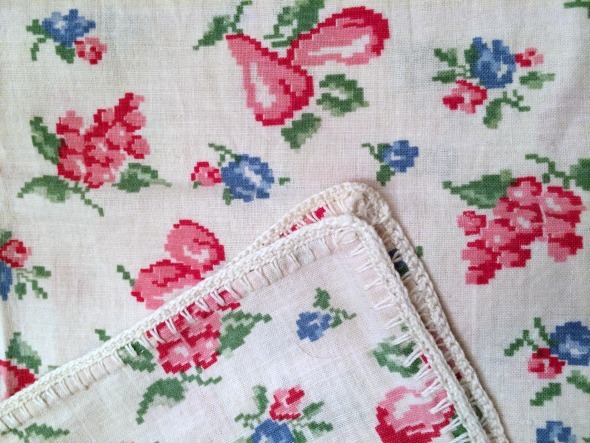 I was flipping through the kitchen linens at a thrift store on Saturday afternoon when a flash of vintage fabric caught my eye. 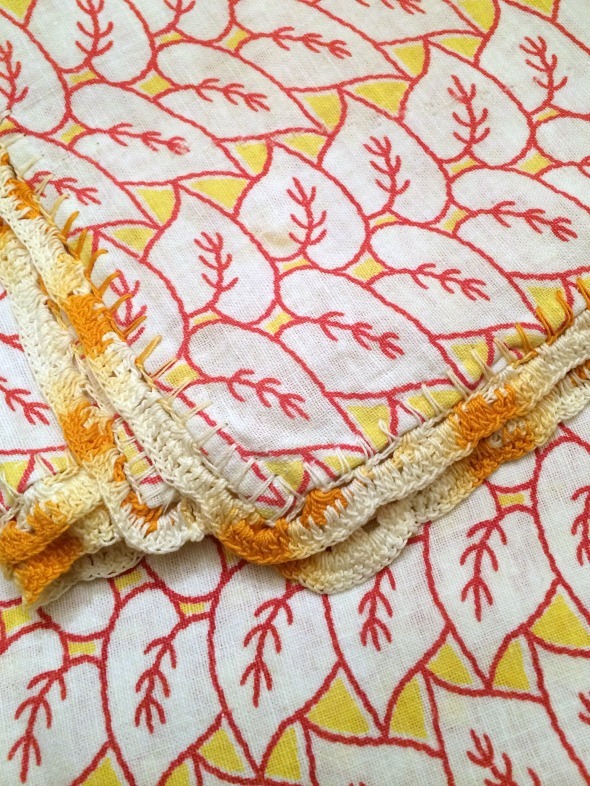 I knew instantly I’d found a goldmine of old feedsacks made into kitchen towels. The price? One dollar each. Yes, YES, and YES!!! 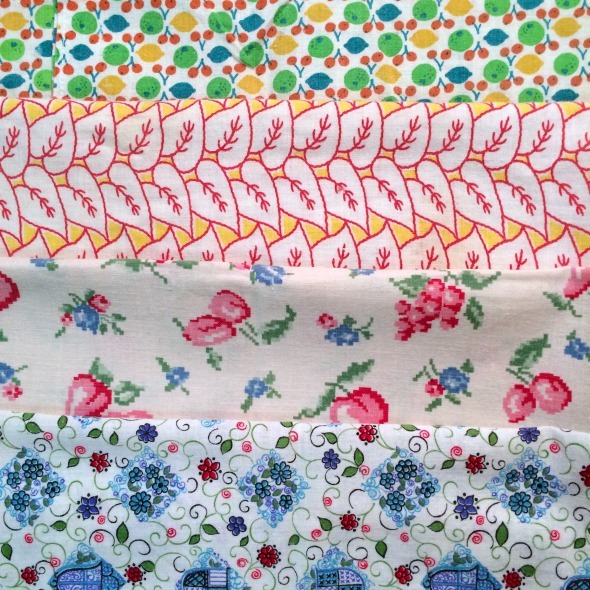 Can you say “Quilting Heaven”? But after a closer look I knew I wouldn’t be cutting quilt blocks after all. Someone invested hours to add crochet edging. It was my first clue that these towels weren’t taken for granted by the original owner. Not just pretty, crochet trim would have served as edge armor. 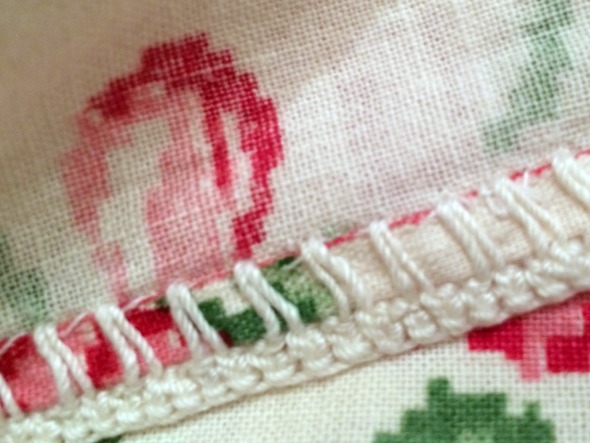 Some of the hemming had been done by hand, not zipped through a sewing machine. All that (blurry) hand stitching–just for a towel. 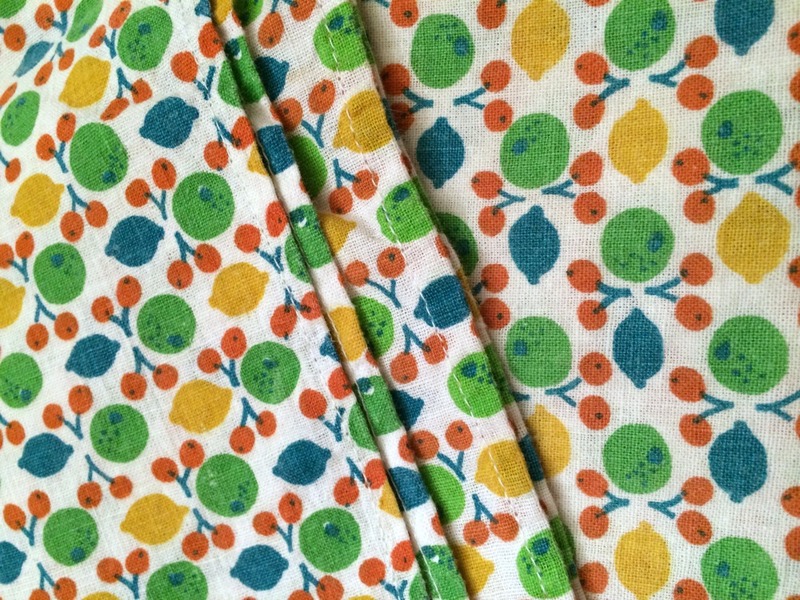 But the details that made my heart melt were found on the two matching fruit print pieces. One had never been used. 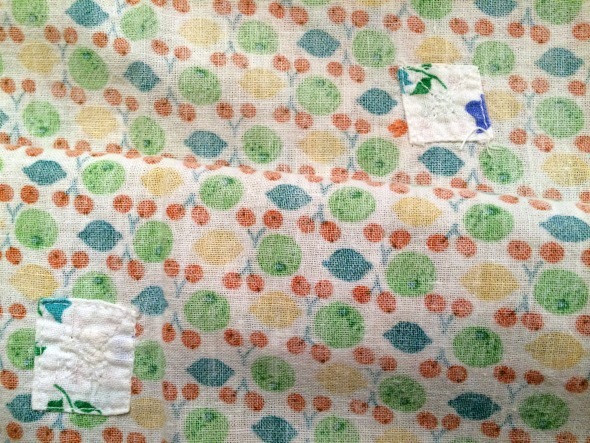 The other had been used and used and then patched with small squares of yet another feedsack. 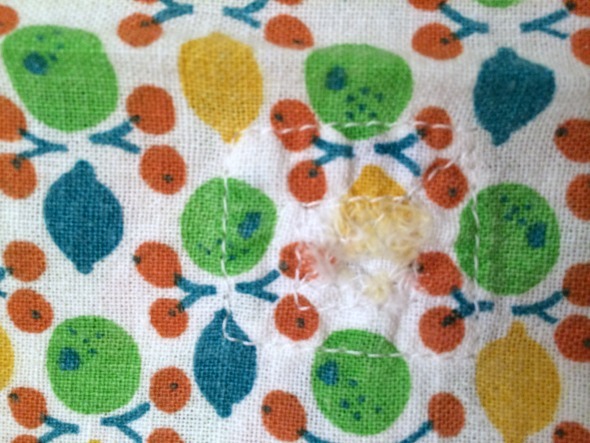 When’s the last time you patched a kitchen towel? She could have tossed it in her rag basket and used the new one, but chose instead to “Use it up, wear it out, make it do, or do without.” It must have been hard times indeed. Eventually they were carefully folded, right sides in, and tucked away–still too good for the rag basket. Thrifty. Frugal. You never know when you might need it. Isn’t it funny how something as simple as towels can reveal a bit of someone’s life story? Love finding stuff like this…the patches do tell a story. I have a vintage umbrella that is patched and hand stitched. I would never in a million years think of sewing up an umbrella to keep using it. I’d love to see your patched umbrella! It would never occur to me to do that, either. Now we just toss things and buy new ones–the new normal.